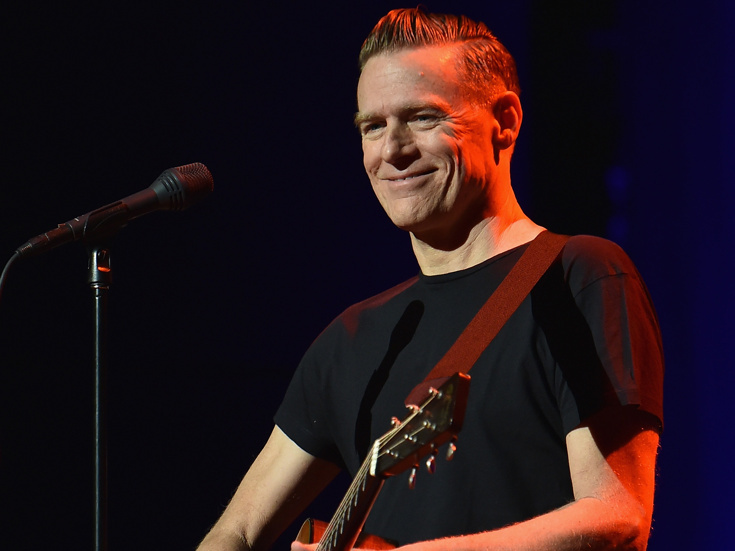 '90s hitmaker and Broadway-composing newcomer Bryan Adams surprised the audience at the January 3 performance of Pretty Woman: The Musical at the Nederlander Theatre. Adams took to the mic to sing from his score to the new tuner based on the smash film, alongside star-packed cast members Samantha Barks, Andy Karl, Orfeh, Jason Danieley, Kingsley Leggs and Eric Anderson. Watch Adams make his Broadway stage debut below and book your tickets now to see Pretty Woman: The Musical in person. Tony-nommed Mean Girls standout Taylor Louderman is offering three musical songwriters the chance to have an original song recorded and filmed in-studio, performed by Louderman herself and some of her Broadway pals! The Write Out Loud Songwriting Contest, co-sponsored by Ghostlight Records, is asking aspiring songwriters to submit their original songs online for consideration to receive a filmed day in an NYC studio, an edited music video of the original song published to YouTube and song distribution from Ghostlight Records. The contest deadline is January 31. Click here for more info and to submit your songs! Waterwell has announced the world premiere production of The Courtroom, a reenactment of deportation proceedings, to be presented in two courtrooms in New York City. With text arranged from real court transcripts by Tony nominee Arian Moayed (The Humans), the unique production will play four performances in two active legal spaces: Fordham University School of Law on January 23 at 7:00pm and January 26 at 7:00pm and Thurgood Marshall United States Courthouse on January 24 at 6:30pm and January 25 at 6:30pm. Obie winner Lee Sunday Evans will direct; casting will be announced shortly. Tickets are free and available now here. We're just one week away from the Puerto Rico premiere of Lin-Manuel Miranda's hit musical Hamilton. In rehearsal for the show's upcoming bow at the Luis A. Ferré Performing Arts Center, music director Alex Lacamoire took apart his Tony-winning orchestrations so the cast could hear different elements of what make up the now iconic "Yorktown" dance break. Watch Lacamoire and his talented band below, and make plans now to experience Hamilton in San Juan from January 11-27.